There are plenty of trails on Maui to explore. 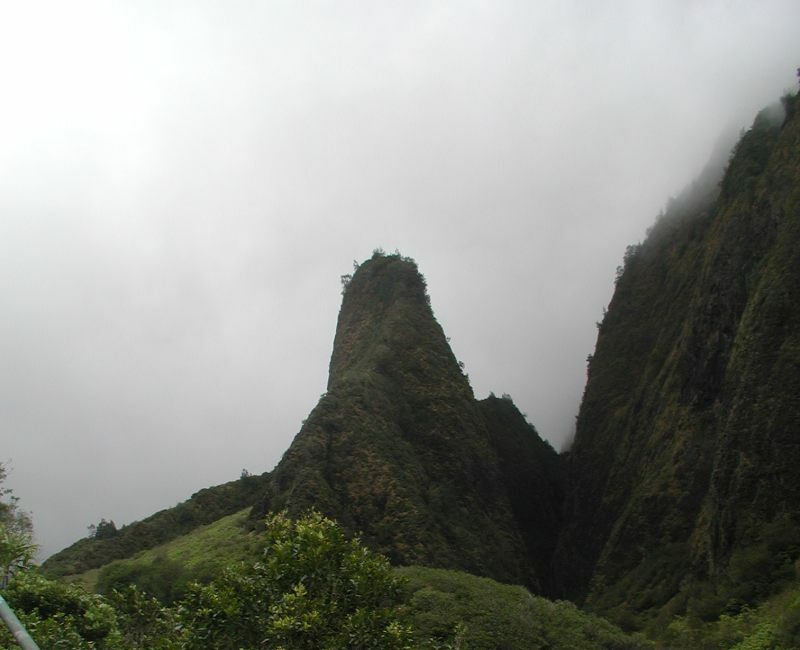 For an easy hike, go to `Ioa Valley and walk the paved trail to the `Ioa Needle. It has a simple paved trail that is 0.6 miles long. If you accomplish that and wish for more, there are other short hikes around the valley. Another easy hike is the Waikamoi Nature Trail. This is a simple but beautiful nature walk through bamboo and ferns and has scenic overlooks along the way. This walk has two sections. The main section is a one-mile loop. The addition is an out-and-back hike that will add an additional half mile to your walk. The Waikoma Nature Trail can be found a half mile past mile marker 9 on the Hana Highway. It is easy to miss because the parking lot is located next to a bend in the road. For an intermediate hike, take the Pipiwai Trail to Waimoku Falls in the lush section of Haleakalā Park. You will pass two amazing waterfalls along your way ( Waimoku and Makahiku falls ). To get to the trailhead, take Highway 31 South from the town of Hana. The parking lot for all falls and trails is located just past mile marker 42 on the ocean side of the road. Follow the signs to the trailhead. For more difficult hikes, visit Haleakalā Park and hike the Halemauu Trail or the Keonehe’ehe’e Trail down from the crater. 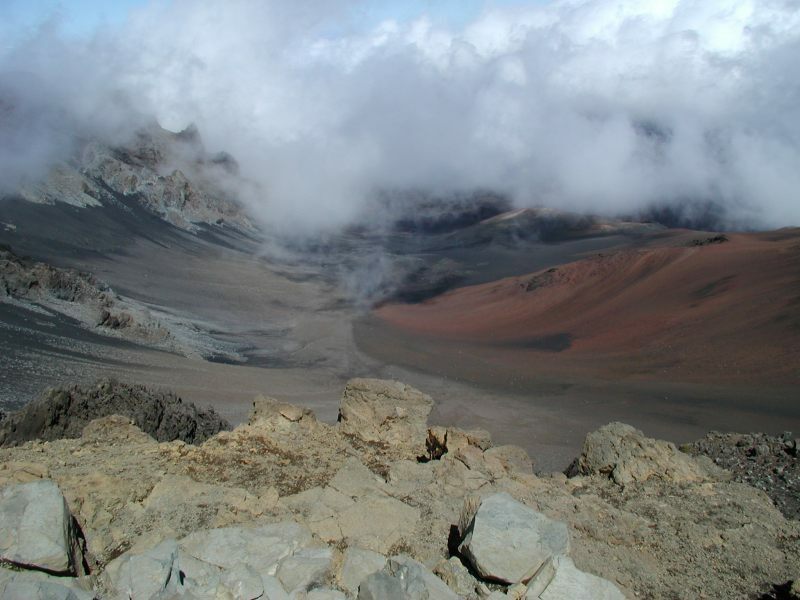 Haleakalā Park has over thirty miles of hiking trails (twenty-seven miles inside the crater and three miles outside). See a map of the hiking trails in Haleakalā at the official Haleakalā Park website. There is quite a network of hikes and distances. See the map. Most hikes within the crater start from one of two trailheads: Hosmer Grove or the Halemau’u trailhead. Also consider Waihe’e Ridge Trail. This moderate, five-mile roundtrip hike will give you great views of Waihee Valley and the Makama’ole Falls. There are other falls visible from the trail, but you will need to keep your eyes open to view them. This is a very pretty hike that is best started earlier in the day to avoid the clouds later. While there is no guarantee of visibility, the clouds later in the day will obscure your views of the valley. To get to the trailhead, take Highway 32 west from Kahului for three miles and turn onto Highway 330. Continue on Highway 330 and it will turn into Highway 340 at mile marker 2. Just before mile marker 7, turn left onto the road where you see the Maluhia Boy Scout camp. Drive one mile up this road and you will see the parking area. Another great hike to consider is Lahaina pali. This is a shuttle hike with six miles between the two trailheads. 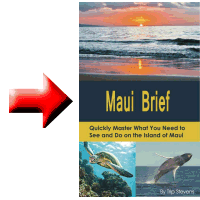 It is elevated along the shore, and you can easily spot the islands of Lana`i and Kahoolawe. If you hike it in the right season (winter), you might spot some whales breaching. The trail ranges in elevation from 100 to 1,600 feet. Both trailheads are accessible from Honoapiilani Highway (Highway 30). The eastern trailhead is 0.2 miles south of the junction of Honoapiilani Highway (Highway 30) and Kihei Road (Highway 31). There is a closed but unlocked gate. 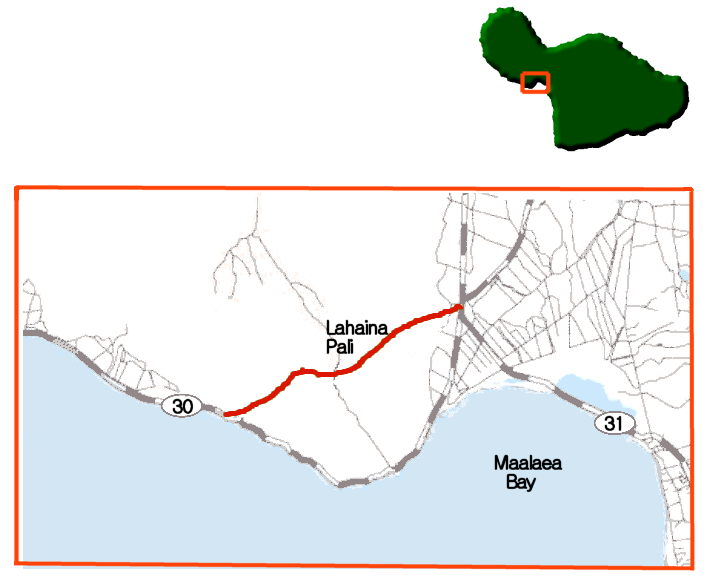 The western trailhead lies ten miles south of Lahaina and three miles west of Maalaea Harbor. The parking area is accessible from Highway 30 at Manawaipueo Gulch about a quarter of a mile north of the Pali tunnel. It is best to start this hike early in the day from the Maalaea side. Another hike to take is the Wai’anapanapa coast hike. 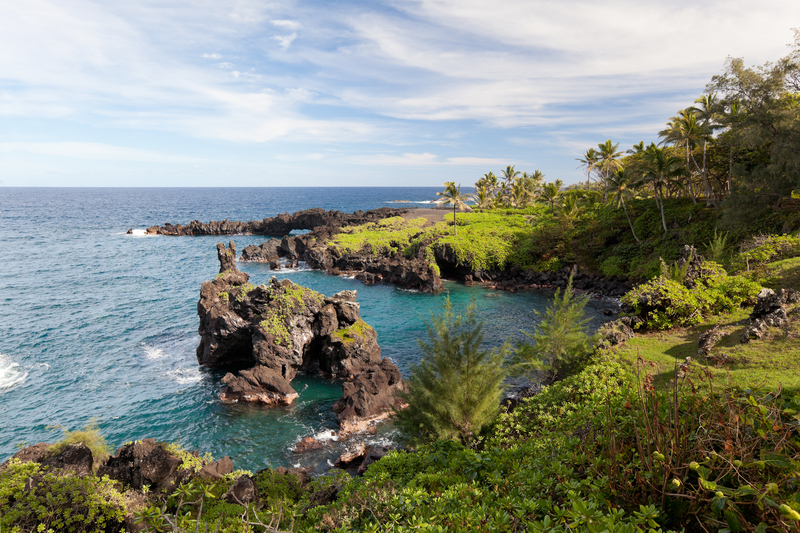 This three-mile trail follows the coastline from Hana Bay to Wai’anapanapa State Park. You are hiking on lava rock, so wear good sturdy shoes or boots. Wai’anapanapa is a black sand beach so this hike is one of a kind. Besides the black sand beach, you will also see lava arches and possibly a blowhole (depending on the condition of the surf). This is a hike that you can make as long or as short as you want You can make it a shuttle hike or an “out and back.” You could start at Kainalimu Bay and hike north to Wai’anapanapa Beach or vice versa. The trail actually extends north past the park almost to the Hana Airport.